We have lost a great man in Steve Jobs. I have been reading the many stories and obituaries that people have shared across the Internet. @Monica Jarski shared her story and took us back to the inspirational speech that Steve so humbly gave for those lucky Stanford graduates in 2005, the year after he was diagnosed with pancreatic cancer. While he shared how he started Pixar as a result of being let go from Apple at age 30 as its co-founder, and how this led him to meeting his wonderful wife, Laurene, what really got me were the words that followed. “Stay Hungry: Stay Foolish” which appeared in the last issue of “Whole Earth Catalog” in the mid-1970s. Keep looking and don’t settle until you have found what you are passionate about. Remembering you will die wipes away all the fear of embarrassment and failure and all those trivial things that keep us from being who we can be. “Even people who want to go to heaven don’t want to die to get there. And yet death is the single best invention.” It clears life to make space for the new. Remember your time is limited. Don’t be trapped by other’s lives and dogma. Life is a great change agent. Your time is limited. Don’t waste it by living another’s life. You’ve got to find what you love both in romance and work, and do what you believe is great work. Like any relationship, your relationship with work gets better and better over the years. Here is the Link to Steve’s 2005 commencement address. And as a good competitive intelligence professional, although he was not espousing this at the time, he said that you can’t connect the dots in the future, but only in the past. You have to have the confidence that somehow they will connect. This is the story of life. 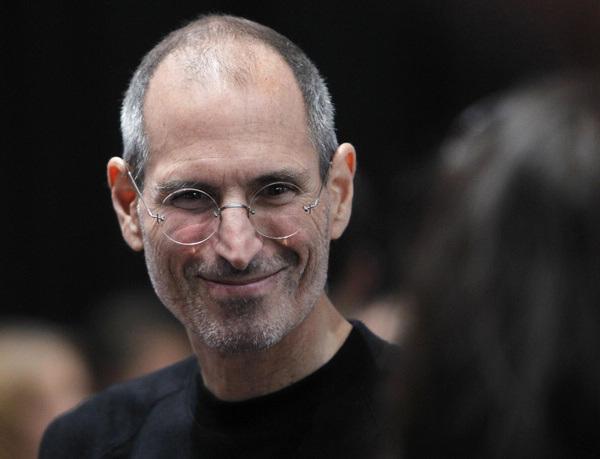 Steve was a wise man who followed his heart, his passion, his instinct and was playful in his inventiveness. The world is a better place thanks to him. May he rest in peace, and bless his wife Laurene and all his family and friends who will miss him terribly.